Maintaining good blood glucose control is the most powerful tool in preventing diabetes complications. Many people use a blood glucose meter to check their blood sugar level. Others may choose to use a continuous glucose monitor (CGM) in addition to their glucose meters. A CGM tests your blood glucose levels every five minutes throughout the day. It can be used by people with type 1 or type 2 diabetes. Several diabetes devices are on the market today, with more in development. Most feature a disposable sensor worn on the body, usually in conjunction with a reusable transmitter. 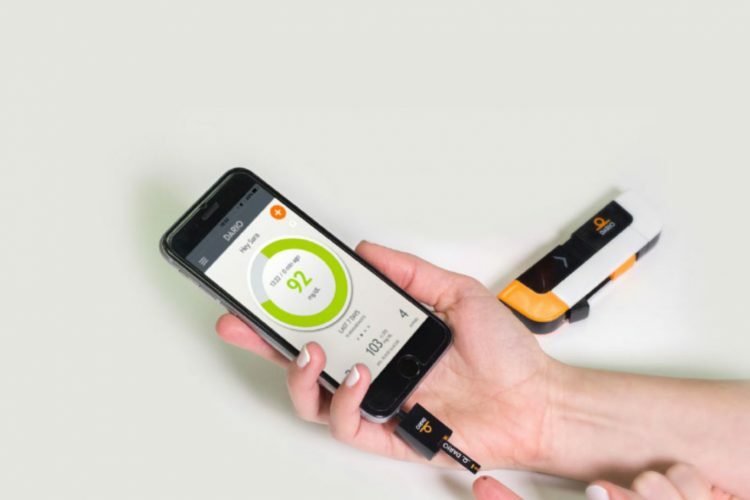 The sensor includes a tiny wire that pokes through the skin and measures glucose levels in the cellular fluid, and can be worn for approximately seven days before it requires changing. While inserted, the sensor wirelessly transmits blood glucose readings to an external receiver or integrated insulin pump. The high and low thresholds for CGMs can be set by the patient or medical team, and the CGM will alarm when blood sugar levels go above or below the established thresholds. This alarm feature can help a person with diabetes understand blood glucose trends, and can warn people who have hypoglycemic unawareness when their blood sugar drops too low. A CGM does not replace the need for standard blood glucose meters—yet. They need to be calibrated with conventional finger-stick testing, and the results of a continuous system must be periodically compared against a glucose meter for accuracy. Research is currently underway that may show CGMs as reliable enough to dose insulin, or to be used without calibrating against a conventional glucose meter. 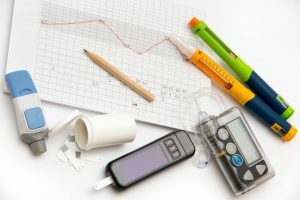 Insurance coverage for CGMs is improving, though coverage for people with type 2 diabetes remains more of a challenge. Most CGM companies will work with you and your doctor in pursuit of insurance coverage. Talk to your medical provider about whether or not a CGM is right for you. National Institute of Diabetes and Digestive and Kidney Diseases. 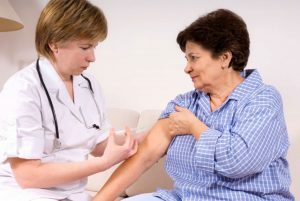 “Continuous Glucose Monitoring.” December 2008. https://www.niddk.nih.gov/health-information/diabetes/manage-monitoring-diabetes/continuous-glucose-monitoring. Rodbard, David. “Continuous Glucose Monitoring: A Review of Successes, Challenges, and Opportunities.” U.S. National Library of Medicine and National Institutes of Health. February 2016. https://www.ncbi.nlm.nih.gov/pmc/articles/PMC4717493/. Bode, Bruce. “Continuous Glucose Monitoring Used to Adjust Diabetes Therapy Improves Glycosylated Hemoglobin: A Pilot Study.” Diabetes Research and Clinical Practice. December 1999. http://www.diabetesresearchclinicalpractice.com/article/S0168-8227%2899%2900113-8/abstract?cc=y. Updated by Kerri Sparling, 11/16.